According to a study, it is the first thing you see in the morning and last thing at night and remains close to you about 80% of the time. It is personal, singularizing and almost your shadow – got that? It’s your mobile phone silly. Our work speaks louder than words. We dive deep into your business needs to discover your target audience, their behaviors, your objectives, and the barriers for success. Our design discovery process is part brainstorm, part innovation, part refinement and part strategy between your company and our team. We love designing interactive prototypes, but to make them we first need user experience maps. Whatever the platform, we’ll explore once we have the fundamentals down, the real fun begins. We start to build stuff, good stuff. Structures, connect screens, animations, responsive buttons the ingredients for mobile app design magic. 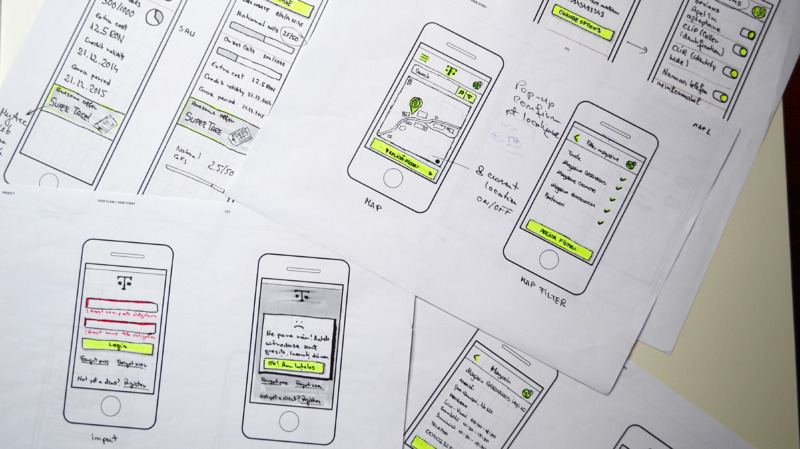 We make quick-and-dirty prototypes early in the process and never stop iterating and user testing. Even once your mobile app is live in a store or safely inside your enterprise walls, we can optimize the experience that users get from point A to point B and you get to revenue.